IPL 2019: KXIP's first loss in four matches at Mohali. 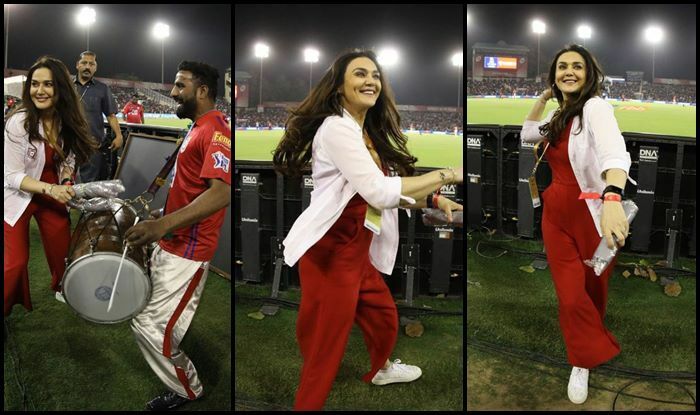 IPL 2019: Preity Zinta was at Mohali and the crowd danced to the tunes of ‘bhangra’ understandably. 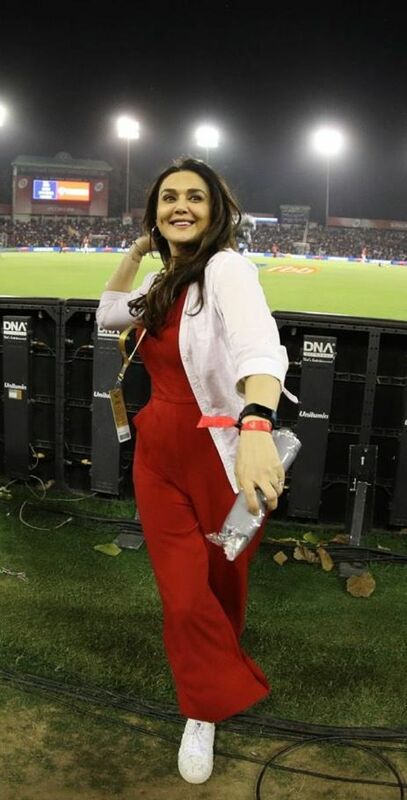 The team owner was sporting a red dress teamed with a white jacket. She looked stunning as he grooved to Punjabi music flaunting ‘bhangra’ steps. The visitors may have won their first match by eight wickets of the tournament, but the actress gave the crowd a reason to cheer and get their money’s worth. KXIP slumped to their fourth defeat of the league. The team owner still seemed to be in a good mood. She has always, over the years been somebody who has stood by the team through their thick and thin and never gave up. The franchise is yet to win the title, but the team management has done a commendable job always. It was the fifties from Virat Kohli (67), AB De Villiers (59*) that ensured RCB registered their first victory of the season. In the points table, KXIP slip to the fifth spot, whereas even with the win, RCB is at the bottom of the table. KXIP set RCB a tricky 174 to win. Chris Gayle remained unbeaten on 99*. With the win, RCB keeps their hopes alive in the tournament as they manage to stay afloat. Chahal was the pick of the RCB bowlers as he scalped two wickets in his four overs giving away 33 runs.